Incorporating laughter into a physical activity programme may improve older adult’s mental health, aerobic endurance and confidence in their ability to exercise, according to a new study. In the study, led by researchers from Georgia State University in the US, older adults residing in four assisted-living facilities participated in a moderate-intensity group exercise programme called LaughActive. LaughActive incorporates playful simulated laughter into a strength, balance and flexibility workout. In simulated laughter exercises, participants initially choose to laugh and go through the motions of laughing. The exercises facilitate eye contact and playful behaviours with other participants, which generally transition the laughter from simulated to genuine. Simulated laughter techniques are based on knowledge that the body cannot distinguish between genuine laughter that might result from humour and laughter that is self-initiated as bodily exercise. Both forms of laughter elicit health benefits, researchers said. 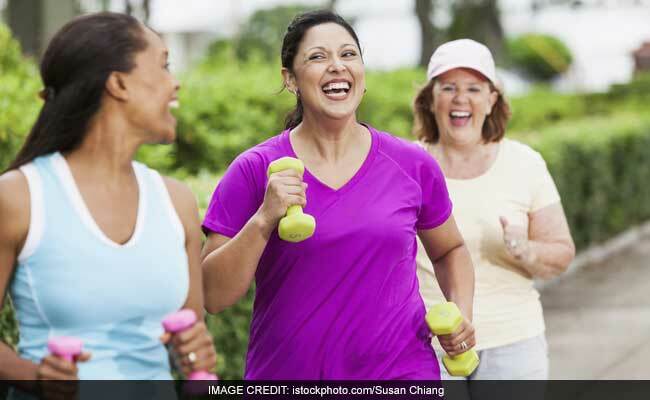 For six weeks, study participants attended two 45-minute physical activity sessions per week that included eight to 10 laughter exercises lasting 30 to 60 seconds each. The study found significant improvements among participants in mental health, aerobic endurance and outcome expectations for exercise (for example, perceived benefit of exercise participation), based on assessments completed by the participants. When surveyed about their satisfaction with the programme, 96.2 per cent found laughter to be an enjoyable addition to a traditional exercise programme, 88.9 per cent said laughter helped make exercise more accessible and 88.9 per cent reported the programme enhanced their motivation to participate in other exercise classes or activities. “We want to help older adults have a positive experience with exercise, so we developed a physical activity programme that specifically targets exercise enjoyment through laughter,” added Greene.